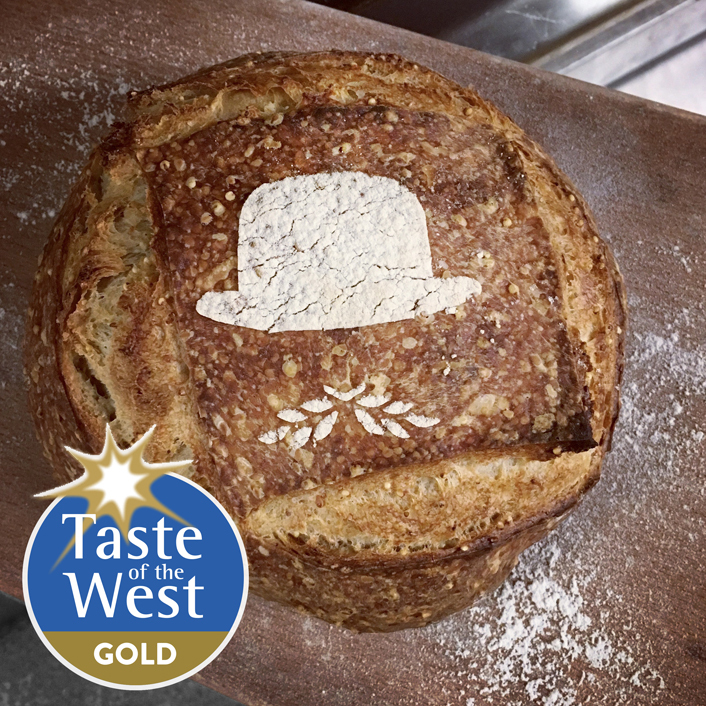 The results are in for this year’s Taste of the West Awards and we’ve picked up a gold for our Signature Sourdough! We’re quite proud of our Signature Sourdough. The combination of locally milled white and stoneground wholemeal flour gives the loaf extra flavour and we’ve dusted the top with our hat and wheat moustache, in a little nod to Thomas George. Sourdough has seen quite a resurgence over the last few years. In a world dominated by mass-produced, pre-packaged fast-food, the humble sourdough is a refreshingly simple ‘slow food’ product. It has only 3 ingredients – flour, water and salt – and cannot be rushed, instead preferring to rest for up to 24 hours in cane baskets, known in the baking world as ‘bannetons’. Sourdough is perhaps therefore not just an artisanal product but also the embodiment of a philosophy (or foodosophy) about slowing down, appreciating good food and having respect for how it’s made. The tide is turning.